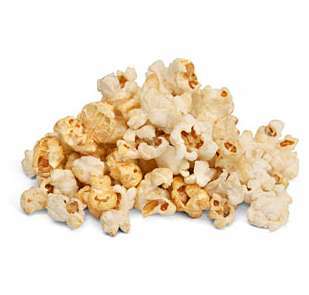 Listen to Theodore Gray and his recent article on the Popular Science Mag for a fun way of salting your popcorn. I suggest you do not try at home. "Sodium is a soft, silvery metal that explodes violently on contact with water and burns skin by reacting with even the slightest moisture. Chlorine is a choking yellow gas, used with mixed success in the trenches of World War I (it was known to have killed about equal numbers on both sides of the trench). 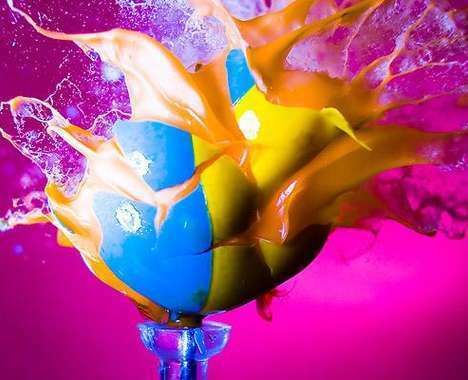 When these chemicals meet, they react in a fierce ball of spitting fire and clouds of white smoke. The smoke is sodium chloride (NaCl), or table salt, which I used to season a basket of popcorn I hung over the reaction. ... As a way of salting popcorn, though, this kind of salt synthesis is pretty out there. The salt is very fresh, but the hazards of blowing pure chlorine into a bowl of liquid sodium are very real. Seconds after this picture was taken, the net melted, dropping popcorn into the bowl and sending a shower of flaming liquid sodium balls in all directions. No one was hurt because I'd made safety preparations for even the worst-case scenario, which this nearly wasâ€"only an uncontrolled chlorine leak would have been worse, in which case I had a clear path to run like hell."